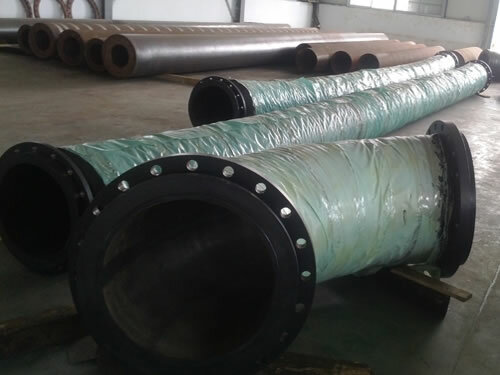 Mining rubber hose is generally used for slurry transportation. As the following picture shows, slurry hose is made up of outer rubber cover, steel wire skeleton, bonding layer, composite material layer and abrasion resistant layer. The abrasion resistant layer adopts high quality natural rubber latex which is processed by nanometer formula, thus able to resist abrasion of slurry. Mining rubber hose is widely applied in mining industry. 1. Mining rubber hose boasts good shock resistance, static pressure resistance and high tensile strength. 2. 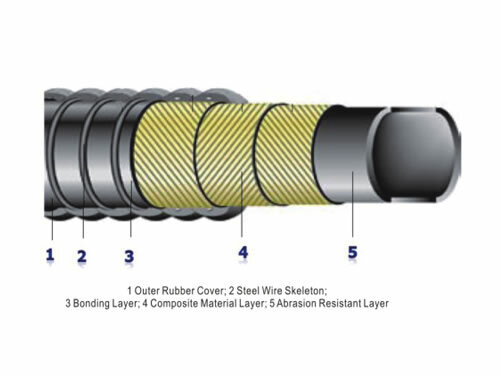 It is wear resisting, anti-corrosive and aging resistant. 3. 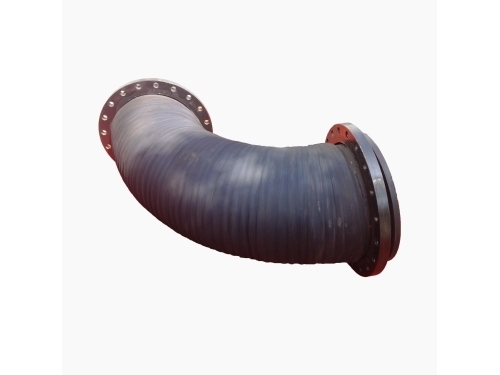 Slurry hose enjoys a wide range of heat-resistance (accepted temperature ranging from -50℃ to 95℃). 4. Mining rubber hose is energy saving and easy to install. 300 12 10±0.5 360±3 1.0 2-15 Special designs will be offered basing on actual requirements. 2. Slurry hose should be delivered within 30 to 60 days after the receipt of down payment. Field installation and maintenance can be provided basing on that the purchase orders of mining rubber hoses reach a certain amount. Being an experienced supplier of mining rubber hose, Jiangxi Naipu also supplies slurry pumps, mill liners, flotation spare parts, and so on. The company positively employs high wear-resistant natural rubber in these products. Besides, Naipu gains lots of technological supports from universities and institutes. All these products win certification of ISO9001 and ISO14000. We warmly welcome you visit the company’s website or contact us directly.